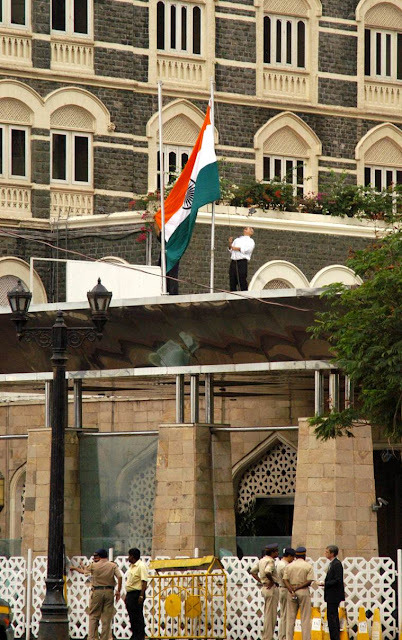 Today is a day - Nation can never forget - 26/11 –the day, when it Nation under siege by militants from across the border. On 21st Nov 2012, - Ajmal Kasab, the living face of Mumbai terror was hanged, almost 4 years after that incident that shocked India and entire World. The Nation can never forget that dreaded day in 2008 when Kasab and nine Pakistani gunmen launched a bloody attack on multiple locations in south Mumbai. 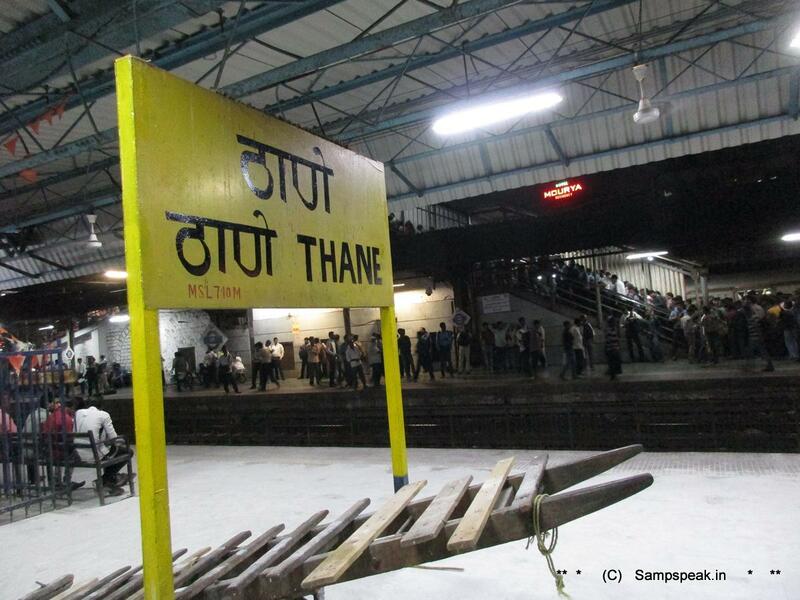 Kasab and another gunman attacked Chhatrapati Shivaji Terminus in south Mumbai shooting train commuters. In this great Nation of ours, even the killer was given a fair trial – the entire legal process unfolded with Kasab being served food and he asking for Urudu papers and more. India took the trouble to conduct and ensure, that it believed in a proper justice system and would deal with attacks against its people according to the law. The deadly terror attacks on Mumbai in 2008 numbed the entire nation. It changed the lives of many who witnessed the macabre dance of death and destruction on Mumbai's roads and inside the iconic Taj Mahal Hotel. 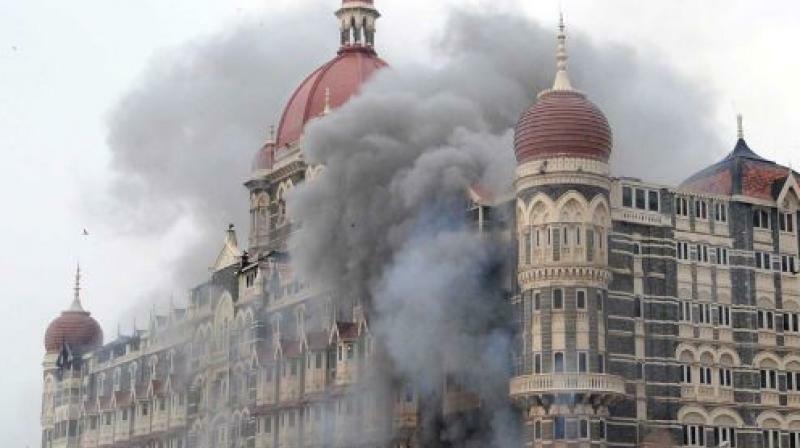 On the eighth anniversary of the attacks, the citizens need to recall the gory of the 10 terrorists from Pakistan createing havoc in the city of Mumbai with more than 10 coordinated shooting and bombing attacks on hotels, a train station, a hospital and a Jewish community centre. It lasted for 3 long days, killing around 164 people and injuring more than 600 people. It was on 21st November, 2008 that ten terrorists left Pakistan in boat, and headed towards India. They killed four fishermen and hijacked an Indian trawler, the Kuber and threatened the captain to sail to India on 23rd November. On 26th November, while they were 7km away from the Mumbai shore, the terrorists killed the captain, and headed towards Colaba in inflatable speedboats. Today, reports state that Maharashtra Chief Minister Devendra Fadnavis was among the dignitaries who paid homage at the 26/11 police memorial site at the Mumbai Police Gymkhana in south Mumbai. "I pay homage to the brave policemen who fought for Mumbai's safety and laid down their lives for us on 26/11. We are proud of them and we will strive hard for safety and security of our state," Fadnavis said. "We will strengthen police force with better equipment. It is our priority," he is quoted as saying. Floral tributes were paid to those who laid down their lives while fighting terrorists who had attacked the metropolis on this day eight years ago. The official commemoration was held at Police Gymkhana where Maharashtra Governor C.V. Rao laid a wreath and led the State in paying homage to all those who lost their lives in the terror attacks. Also present were, Director-General of Police Satish Mathur, Mumbai Police Commissioner Datta Padsalgikar, Shiv Sena President Uddhav Thackeray. The guests also included the widows, orphans and other family members of the victims. It anyone ever thought that terrorism affected only those who suffered personally or only those in Mumbai, our thinking is flawed. It is worth hearing Capt Raghu Raman speak on this : Capt on TerrorismCapt. Raghu Raman has most unique career profiles spanning over 25 years. He spent eleven years as an officer in the Indian Armed Forces , followed by another eleven years in the corporate sector before joining the Government as CEO of the National Intelligence Grid. We can take a lot of lessons from the army, but the most important one is leadership qualities. Raghu Raman, former CEO of the Indian National Intelligence Grid speaks at a Ted Talk at IIT-BHU, about the kind of on-the-ground decisions that the army had to take during the 26/11 terror attack in Mumbai and what we can learn about leadership from that. 26.1. 2008 – a sad day it was for the Nation.! 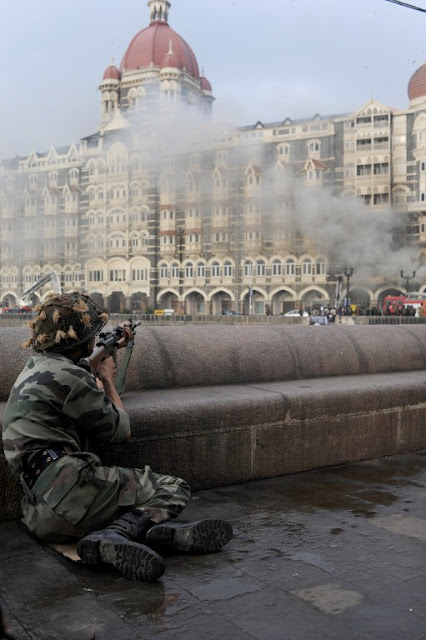 celebrations at Taj - after terrorists were flushed out ! PS: much of these you would have read elsewhere – yet this is another tribute by an ordinary citizen feeling melancholic for that fateful day. It is often said that human’s first wish is ‘filling meals’… it is food that attracts most. 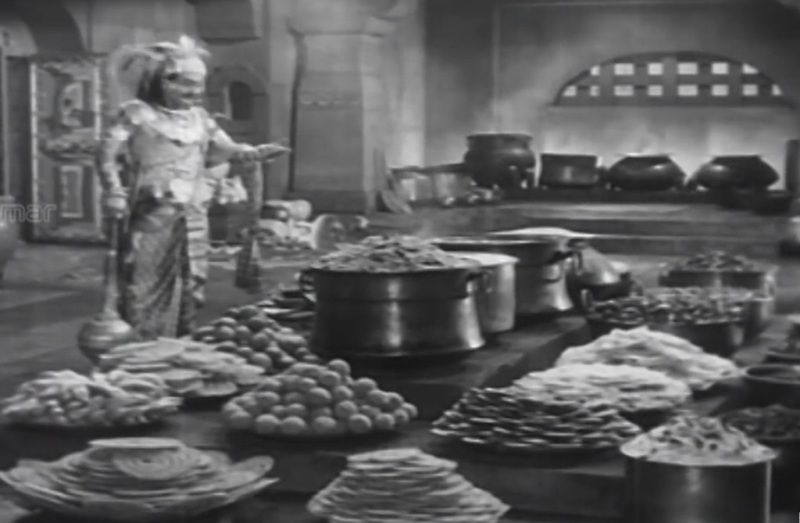 We all have seen it – multiple times, the great song "Vivaha Bhojanambu" ("Kalyana Samayal Saadham" in Tamil) in ‘Maya Bazar’, the epic 1957 film, produced by B. Nagi Reddy and Aluri Chakrapani under their banner, Vijaya Vauhini Studios. The film was shot in both Telugu and Tamil with the same title, but with a few differences in the cast. The story is an adaptation of the folk tale Sasirekha Parinayam, which in turn is based on the epic Mahabharata. It revolves around the roles of Krishna (N. T. Rama Rao) and Ghatotkacha (S. V. Ranga Rao), as they try to reunite Arjuna's son, Abhimanyu with Balarama's daughter. The song in which Ghatothkaja satiates his anger is very famous ! We all like our food ~ none greater than a full mean served traditionally on banana leaves, starting with banana, sweet, rice, many many varieties, ending with curd rice. It is our tradition to place a full /top leaf for guests [thalai vazhai]. Eating on banana leaves is a custom that dates back thousands of years, however its benefits are still relevant today. Madras has been home to a network of hotels that serve pure vegetarian fare rooted in the Udupi region of Karnataka. So the tagline ‘Udupi Hotel’ became a benchmark for quality. Pulses are a great tasting addition to any diet. We have many of them ~ then there are curries and if some one were to ask how old it is ? What would be your answer ? – do keep your mind away from the food that is made in week-end and stored in your refrigerator, getting served for a few days to come by ! 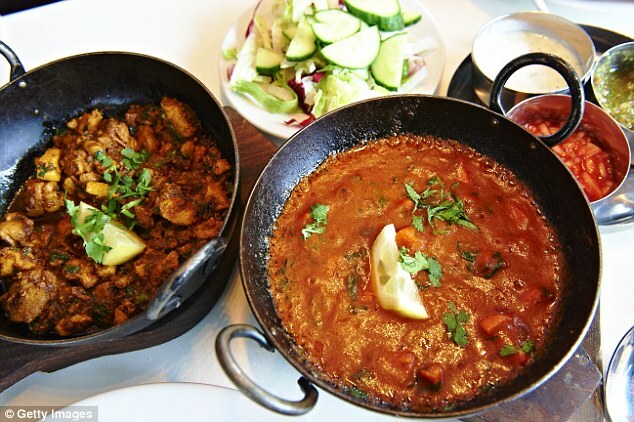 Indians have been tucking into curries, dhals and rice dishes since the Bronze Age, according to new research, and probably even had takeaways. Ancient Indians used advanced farming techniques to bring in rice, bean, lentils tuck into curries, dhal and rice dishes - around 5000 years ago. Archaeologists have discovered that rice was cultivated in India at the same time farming techniques were developed in China, around 2800BC, and 400 years earlier than previously thought. Indians have been tucking into curries, dhals and rice dishes since the Bronze Age, according to new research, and probably even had takeaways - not my version, but an article reproduced from MailOnline of date. Research discovered that the ancient Indus Civilisation, which streched across what is now Pakistan and northwest India during the Bronze Age, had massive cities of up to 40,000 people because their advanced farming techniques meant they could grow surplus food and spices that would be traded at central hubs. The new information confirms that the Indus people were the world's earliest farmers, after they were previously thought to have learned rice farming techniques from the Chinese. The research also confirms that Indus populations were the earliest people to use complex multi-cropping strategies across both seasons, growing foods during summer, like rice, millets and beans, before swapping to winter crops in the colder seasons - like wheat and barley. Researchers from the University of Cambridge reckon a network of regional farmers supplied assorted produce to the markets of the civilisation's ancient cities. Study co-author Dr Jennifer Bates said: 'We found evidence for an entirely separate domestication process in ancient South Asia, likely based around the wild species Oryza nivara. Archaeologists have discovered that rice was cultivated in India at the same time farming techniques were developed in China, around 2800BC, and 400 years earlier than previously thought - 'This led to the local development of a mix of 'wetland' and 'dryland' agriculture of local Oryza sativa indica rice agriculture before the truly 'wetland' Chinese rice, Oryza sativa japonica, arrived around 2000 BC. 'While wetland rice is more productive, and took over to a large extent when introduced from China, our findings appear to show there was already a long-held and sustainable culture of rice production in India as a widespread summer addition to the winter cropping during the Indus civilisation.' Evidence for very early rice was discovered at a site in the central Ganges basin, but it has long been thought that domesticated rice agriculture did not reach South Asia until towards the end of the Indus era, when the wetland rice arrived from China around 2000 BC. But researchers found evidence of domesticated rice in South Asia as much as 430 years earlier, making them the earliest farmers. The new research is published today in the journals Antiquity and Journal of Archaeological Science by researchers from the University of Cambridge's Division of Archaeology, in collaboration with colleagues at Banaras Hindu University and the University of Oxford. Co-author Dr Cameron Petrie says that the location of the Indus in a part of the world that received both summer and winter rains may have encouraged the development of seasonal crop rotation, way before other major civilisations of the time, such as Ancient Egypt and China's Shang Dynasty. The archaeologists sifted for traces of ancient grains in the remains of several Indus villages within a few kilometers of the site called Rakhigari. They reckon their advanced farming techniques meant the Indus civilisation could support cities with massive populations of up to 40,000 people. They used radiocarbon dating to provide the first absolute dates for Indus multi-cropping, discovering they began growing them around 2890-2630 BC for millets and winter pulses, and 2430-2140 BC for rice. Urad beans, however, are a relative of the mung bean, often used in popular types of Indian dhal today. The variety of crops may have been transported to the cities, which would suggest that there was some sort of bartering system in place for people to trade services for food - like modern-day takeaways. Urban hubs may have served as melting pots for produce from regional growers, as well as meats and spices, and evidence for spices have been found elsewhere in the Rakhigarhi region. S Badrinath reaches 10000 runs in First Class Cricket - what is success !! 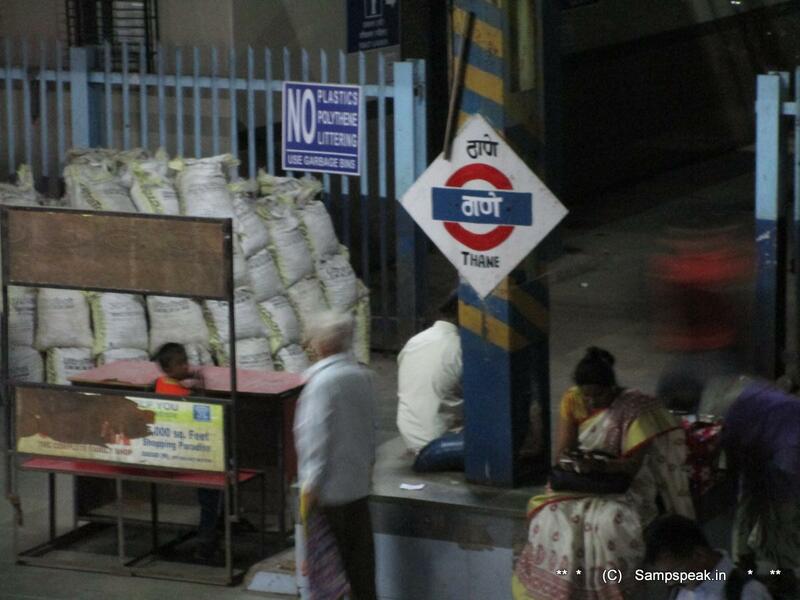 Not many would have been following the Ranji Trophy, Group C: Chhattisgarh v Hyderabad –match at Valsad ! .. Many Pakistanis also may not remember Ijaz Faqih who played 5 Tests and 27 One dayers – but is part of history !! According to Warren Buffet, principles of life and investing often parallel each other. He says ‘you only have to do a very few things right in your life so long as you don’t do too many things wrong”. One should feel sorry for today’s children – for often they are pressurised into doing or becoming whatever their parents wanted to achieve [but never achieved perhaps] in life. From the times when children were desperate in capturing the attention of elders, the present day parents try to have the child’s attention all the times. Matching the parental expectation becomes the single most arduous task for the child. In the city, you find so many Sports training / coaching camps – cricket camps have mushroomed in every open area. The coaches talk of nurturing the cricketer from their childhood, making them mentally tough, making them hungry for accomplishment and more..
Their eyes glisten in seeing their kid in cricketing flannel – a dream of becoming Sachin Tendulkar. 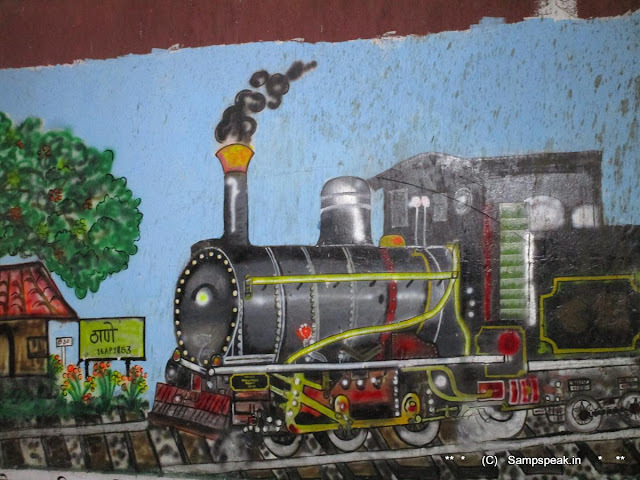 There is a story that everyday tens of villagers get down at Chennai Central or Egmore railway station dreaming to become a star in cinema ……. How many of them live to realise their dream is too well known. So, what is accomplishment in Sports ? The first ever ODI was played in 1971; India played theirs in 1974 and only in 1983 – the first century by an Indian was registered – Kapil Dev’s magnificent 175 n.o at Trentbridgewells. Sachin did not make a ton in his first 80 ODI matches but today he has more than 50. Before the advent of IPL & T20, cricketers rose from domestic tournaments – premier amongst them being the Ranji Trophy & Duleep Trophy – Deodhar later. The run to top started with Charles Bannerman who with 239 topped the list for a while; then naturally he was taken over by others which included Billy Murdoch, Joe Darling, Clem Hill, Jack Hobbs, Wally Hammond, Colin Cowdrey, and then Garfield Sobers with 8032 runs. At that point of time, scoring 8000 runs in Test Cricket was considered Himalayan achievement. Geoff Boycott broke that and in that Test went on to play Golf without caring to be with the team. 29 years ago, the little Master’s nudge took him past 10000 runs which was remarkable achievement those days; he ended up with 10122 and was overtaken by Allan Border, then Brian Lara – now Sachin is at the pinnacle of glory with 15921 runs. It was on 7th March 1987, Sunil Gavaskar nudged through the slips off Ijaz Faqih moving on to 58 runs at Motera – Sardar Patel Stadium which sent the crowd erupting. It was the first time ever a batsman had scored 10,000 runs in Test Cricket. Indian Wicket Keeper Kiran More was the non-striker and he was reported as saying that Gavaskar celebrated it as he never did earlier – Sprinting, waving the bat and enjoying the moment. Gavaskar raised his bat in triumph even as he was mid way completing the run. To the millions watching the TV, that was a feat which nobody else can ever acquire…. Records are meant to be broken, first by Alan Border and happily we have Sachin Ramesh Tendulkar perched on top. Gavaskar was a supreme accumulator of runs and would wait patiently when things were not easy – he scored 63 in that match. He was certainly one Indian batsmen who redefined the art of run scoring and accumulating runs, putting a value tag to the wicket. Now in that 10000 Test runs club, we have Sachin, Ponting, Kallis, Dravid, Sangakkara, Lara, Chanderpaul, Jayawardene, Alan Border, Steve Waugh, A Cook and Sunil Gavaskar. There is another man with appetite ~ but never as successful – a run-hungry S Badrinath has been the mainstay of the Tamil Nadu batting since the mid-2000s, and has also captained them. Badrinath stands tall at the crease, and plays with a correct technique. He was pitchforked into the national consciousness in 2005-06 when he nearly topped the batting charts, scoring 636 runs from seven matches at almost 80, missing pole position by 36 runs to Amol Muzumdar, who played one match more. At Valsad, with his 32nd first-class century, Subramaniam Badrinath went past 10,000 runs in first-class cricket. 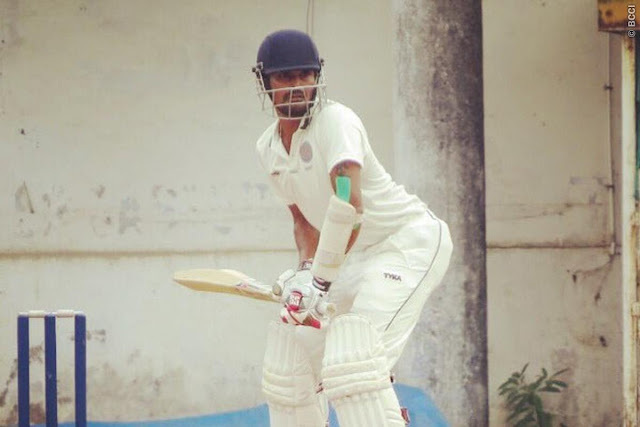 Leading Hyderabad in the ongoing Ranji Trophy season, the batsman scored 134 against Chhattisgarh in the seventh round of the tournament to reach the milestone. With this Badri became the 47th Indian to complete 10000 runs in first class Cricketer. Read it again – it is first class Cricket and not Ranji Trophy !!! Badri made his Test debut against SA in Feb 2010 scored 56 in his first outing, then had another 2 innings to play ! He batted in another 6 ODI innings too. In Ranji, at the top is Wasim Jaffer with 10143; then Amol Mazumdar, D Bundela, Mithun Manhas, H Kanitkar, Amarjit Kaypee, Pankaj Dharmani, SH Kotak, RR Parida and Badri with 7516 runs. What does it take to succeed in life – Playing for India would ever remain the highest priority for any cricketer. With such prolific scoring and abundant talent, Amol Mazumdar was never selected to play for the Nation despite a first class average of 50+ Heart-broken he considered quitting the game in 2002 but somehow continues to play in the Ranji format. Amol overtook the other great scorer Amarjit Kaypee – who again never played for India in a Test of an One dayer. There are some others in that list, who nevert were close to playing for the Nation. Incidentally, the highest wicket taker in Ranji, Rajinder Goel with 637 wickets never played for India. So what is success, is it good performance, reaching higher echelons, abundant talent or easy recognition…… one can have enormous talent but still might go unrecognised is what the lives of Amol Mazumdar, Kaypee, Dharmani, Goels – all represent …….. there are many many more who never got their due credit or never attained the heights they deserved in life… do we call them unsuccessful !! Anbe Vaa, the movie starring M. G. Ramachandran and Saroja Devi released in 1966 had the Q ‘Test match puriyuma ?’ ~ do you understand Test match, which at that time was considered to be understood only by elites. Accidents are sad ! loss of human lives is tragic ! 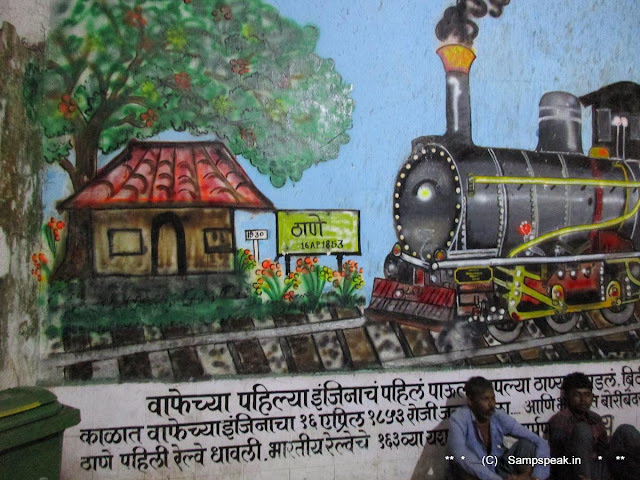 Pukhrayan is a town and a Municipality in Kanpur Dehat district in Uttar Pradesh, situate south-west of Mati on National Highway 25, Pukhrayan is 4 km from Bhognipur. We may not be reading about this place nor about the train that runs a distance of 1359 km for 26h 40 m from Indore to Patna – but for the tragic rail accident in the early hours of Sunday. 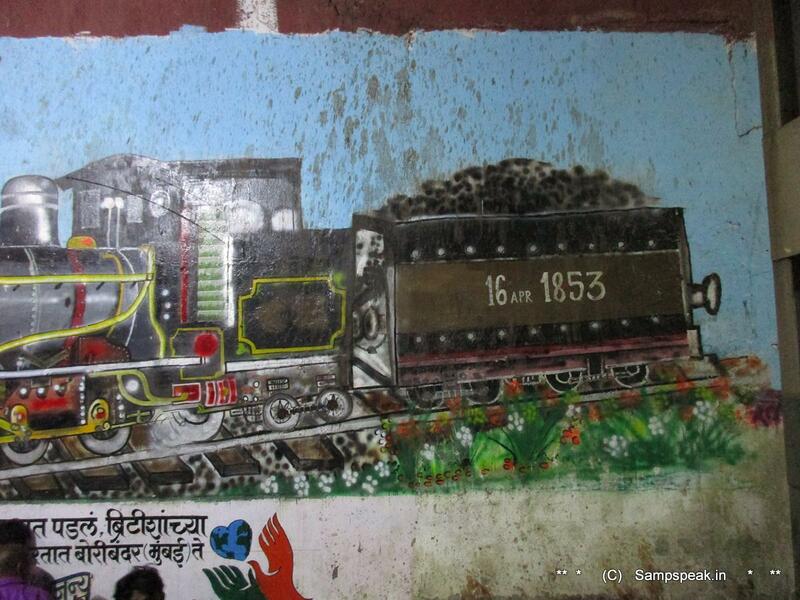 Newspaper reports state that at 3.03 AM, the driver of the Indore-Patna Express witnessed “the overhead equipment shaking” and “felt a jerk” — both out of the ordinary occurrences — and applied emergency brakes, show official Railways records of the worst train accident in recent years that killed at least 120 people and injured over 180. Fourteen coaches of the Indore-Patna Express derailed at Pukhrayan in Kanpur Dehat district of Uttar Pradesh early Sunday morning – killing over 115 passengers and injuring more than 200, nearly half of them grievously, in the worst train accident in recent years. 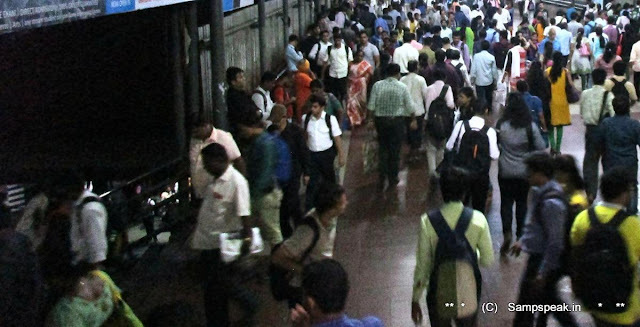 The disaster took place just a little after 0300 hrs when the passengers were jolted out of their sleep as the Patna-bound train jumped the tracks, badly damaging four ordinary sleeper coaches in which hundreds were trapped. 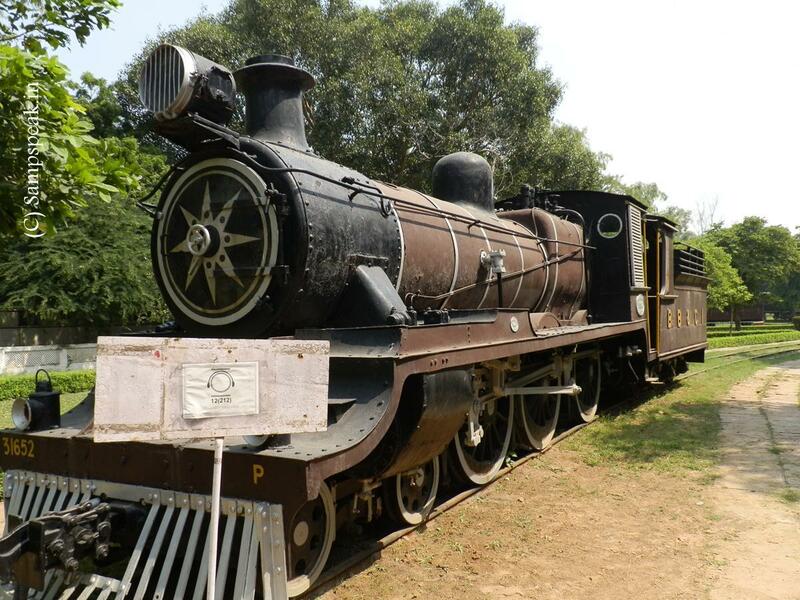 Of the four coaches, the S1 and S2 had telescoped into each other and most of the casualties were feared to have been in these two compartments. S3 and S4 coaches also suffered severe damage while an AC III tier coach was also affected but casualties in it were not heavy. 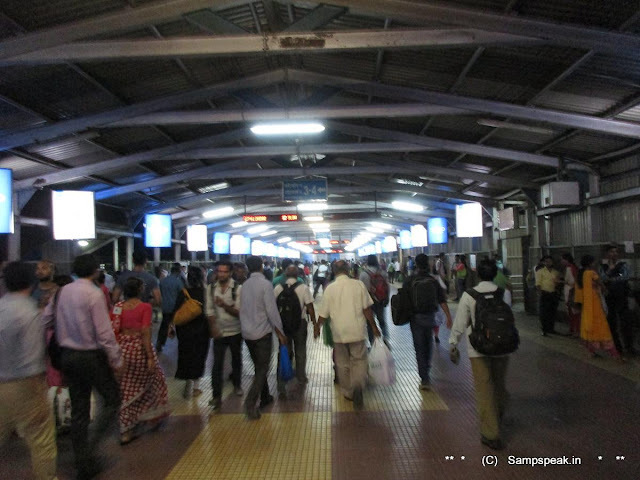 As railway personnel assisted by those of army, NDRF and state police carried out the search and rescue operation, the number of casualties kept on increasing by the hour. By evening, 110 bodies were recovered and taken to Mati mortuary in Kanpur rural. The death toll is over 115, UP DGP Javeed Ahmad said. Among the dead, 43 have been identified, of which 20 are from Uttar Pradesh, 15 from Madhya Pradesh and six from Bihar and one each from Maharashtra and Gujarat. Post mortem of 27 identified bodies has been done and they were being handed over to the families. Ambulance facilities were also being provided to the families of the victims to transport the bodies, officials said. A number of trapped passengers were rescued. Teams of army doctors, railway officials and personnel of NDRF, state PAC and other policemen were involved in carrying out rescue and relief operation. The Chief Minister instructed the DGP to personally monitor the relief operations and deploy traffic police along the route of the mishap site to ensure green corridor for ambulances to reach hospitals quickly. More ambulances/roadways buses have been rushed to the spot for speedy relief operations, the CM said. DG Health and ADG (Law and Order) also rushed to the accident spot to monitor the relief operations. Buses were pressed into service to help passengers complete their journey, Kumar said. Gory details are avoided and intentionally no photos posted here, though there are many in every newspaper website. Sad as we mourn the death of passengers. Way back in Nov. 1956, a ghastly train accident occurred in Ariyalur near Trichy in Tamilnadu when 100s of passengers were feared dead - and immediately after the accident Lal Bahadur Shastri resigned as Railway Minister…….. a resignation may not change the fate of the victims, but sure sign that someone takes responsibility and expresses concern in ensuring that such things do not repeat themselves – and there have been so many accidents thereafter – each time remorse felt immediately and slowly forgotten !! In every climax, it would invariably happen ! 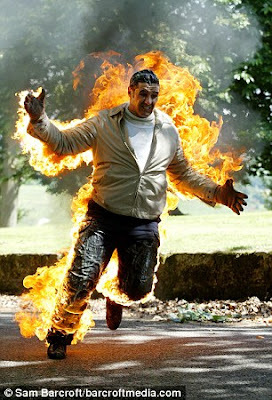 ~ the hero would perform something impossible, an auto chase, burning car, fast train, jumping from air and more – hero would leap into villain’s vehicle. Fans would rejoice – would keep discussing that no other hero could fight so well – most know that most of the risk was undertaken by some lesser mortal whose name may not even figure in the cast; worser still, would remain uncared for if involved in an accident and got injured. Long ago, waiting in an hospital, closer to nighttime, a van arrived and out in the stretcher was a youngman with bleeding injuries all over – some stuntman who had performed breaking a glass door, flying through it ! ~ stunts in films would include car crashes, bike accidents, bombings, falls from heights, getting thrown out of fleeting horse and more. no need to tell that there is inherent risk in all stunt work .. .. .. overheard that the hero in the movie, when a scene of kicking on the face was to be filmed, lifted his foot shortly, asked the camera man to take a shot from a pit ! Life perhaps has never been easy for those stunt performers – right from the early days of movie making to modernised methods of date. In India, they are generally uncared for and do not even get proper insurance protection – as this is one excluded risk. Still, most performers do not have a choice – it is not attitude, but often driven by the only way they know to earn money. Attitudes to risk are source of income and yet it may not be proportionate or paying all the time. These are the men who put their lives for the original hero to get applause and rise to greater heights. They do not get any awards ! – but ensure that the ones for whom they double-up earn millions !! Recently, in a tragic turn of events, two Kannada actors died after a movie stunt went horribly wrong at Tippagondanahalli Lake in Bengaluru.The actors were filming the stunts for an upcoming film ‘Masti Gudi,’ which stars Duniya Vijay in the lead role. While filming the scene, Vijay and the two actors, Anil and Uday, jumped into the lake from a helicopter. While the lead actor swam ashore, the other two didn’t surface for a long time, post which a search party was immediately dispatched. While a team of expert swimmers tried to recover the two actors, they could not retrieve anything. A safety harness was provided to the lead actor but none were provided to the other two. The two had even confessed to not being good swimmers before going into the shot. Previously, yesteryear’s Malayalam superstar Jayan had also died in a helicopter accident in 1980 during the making of the film, ‘Kolilakkam’. Bollywood megastar Amitabh Bachchan received a near fatal blow, while filming a crucial action scene for his cult film, Coolie. Many people condemned the carelessness with which the stunt shooting was carried out — questions were raised about the safety measures undertaken while shooting a stunt of this proportion. The film production unit could procure a chopper for the shoot, paying a hefty amount, but did not have a motor boat to save the actors. Both the stuntsmen had admitted to a TV channel before the shoot that they were not good swimmers, had a phobia of heights and that they had never gotten into a helicopter before. Perhaps they were not provided of details of the stunt and risk. It is further stated that the permission to shoot at the reservoir was only to use the bank and surrounding area, not for jumping into the water. There was no permission for aerial shooting. The actors were bare-chested, showing off their abs, for continuity, hence could not be provided with safety jackets. .. .. if we are inclined to say that Indian tinseldom is bad ~ World-over it is not much different. Today MailOnline reports that James Bond stuntman and SAS hero was killed in an abseil race after plunging 300ft from a helicopter in China. Steve Truglia had appeared in James Bond movies Tomorrow Never Dies and the World Is Not Enough, as well as Saving Private Ryan. The stuntman, from East London, died on Thursday after the abseil stunt in Chongqing, southwest China, went wrong. The 54-year-old - who once described being a stuntman as the 'best job in the world' - won awards in parachuting and mountaineering and held the world record for the fastest 100m abseil. In the message which he wrote on Facebook, he said: 'I can't believe you are gone mate, a part of me just died. You were my best friend and brother for 36 years. It hasn't sunk in that I'll never see you again. 'One thing is certain I'll treasure the memories and never forget you.' Mr Truglia, who died on Thursday, was a member of the Barking and Dagenham Canoe Club. Mr Truglia's girlfriend was informed of his death via a text message from a Chinese woman. PS : An abseil (meaning "to rope down"), also called a rappel after its French name, is a controlled descent of a vertical drop, such as a rock face, using a rope. Climbers use this technique when a cliff or slope is too steep and/or dangerous to descend without protection. Rescue teams are also known for using this method as a way to access injured or stranded victims. There have been some quality off-spinners apart from Erapalli Prasanna and Srinivasan Venkatraghavan. Harbhajan was quite successful – remember his bowling during that Aussie tour in 2001, and that Kolkatta hat-trick.... there was Shivlal Yadav too (M Venkatramana, Ashish Kapoor, Ashok Patel, Arshad Ayub, Sarandeep Singh, Gopal Sharma, Rajesh Chauhan) – all Off-spinners, who played for India at some point of time. 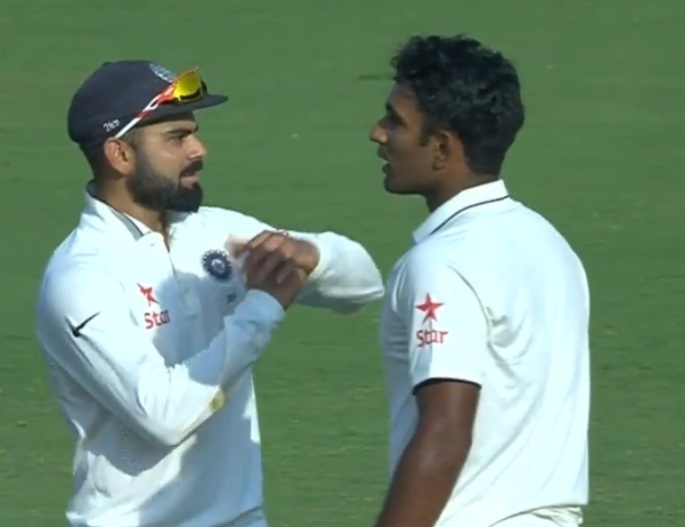 Ravichandran Ashwin now undoubtedly is on top .. and today, even before toss, another Offie Jayant Yadav was handed over Indian cap. Have recently posted on this historic place where - Nagavali, Vegavathi, Gomukhi, Suvarnamukhi, Champavathi and Gosthani rivers flow through. The stadium now named after late CM of Andhra has ends named as : Vizzy End, DV Subba Rao End. The city that has so many rivers is Vizianagaram, once ruled by different Hindu emperors of Kalinga. The area including Srikakulam in the north was integral part of the domain of Eastern Chalukyas of Vengi during the rule of Kubja Vishnuvardhana (624- 641). After, Kakatiya Dynasty of Warangal, there was the rule of illustrious Krishna Deva Raya too. During last century, the area was a part of British – Northern Circars. One important event is te Bobbili yuddam fought between the MahaRaja of Vizianagaram and the Rajah of Bobbili in 1757. Rulers of this princely state belonged to the Pusapati family. Lieutenant-Colonel Sir Vijay Ananda Gajapathi Raju [1905-1965] famously Maharajkumar of Vizianagram or Vizzy, an administrator and politician, played Cricket too. Vizzy was the second son of Pusapati Vijaya Rama Gajapathi Raju, the ruler of Vizianagaram, organised his cricket team in 1926 and constructed a ground in his palace compounds. He recruited players from India and abroad. When MCC cancelled the tour of India in 1930–31 owing to political problems, he organised a team of his own and toured India and Ceylon – a la, Indian Premier League of last century. He was named the Captain for the 1936 tour of England, and there are some references to lobbying and not cricketing reasons. The team reportedly was divided and there were some controversies too, the one involving Lala Amarnath, much spoken about. 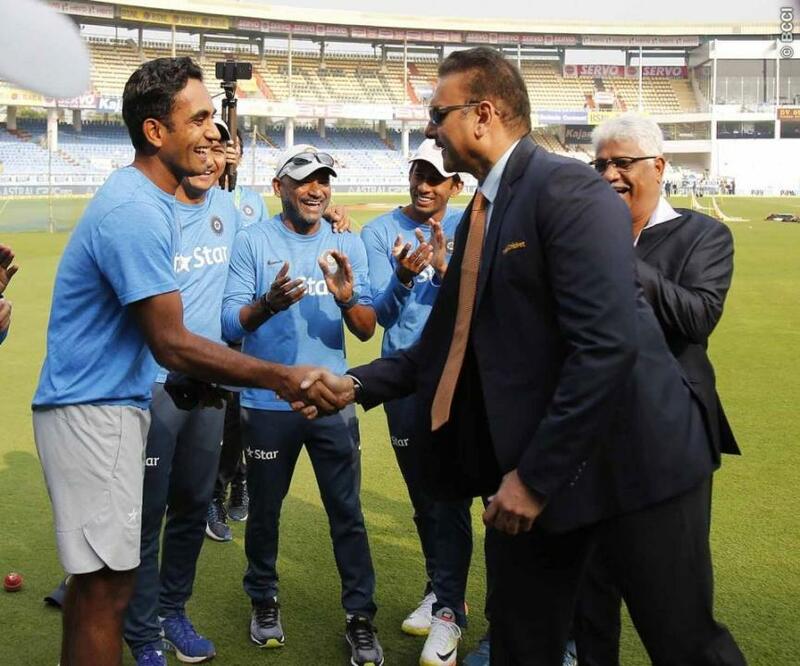 At Vizag today, Jayant Yadav who received his ODI cap from former India opener Virender Sehwag received Test cap from Ravi Shastri – and that made news even before the toss and announcement of playing X1. He replaced Amit Mishra – a harsh decision though. Virat Kohli won the toss and duly opted to bat. 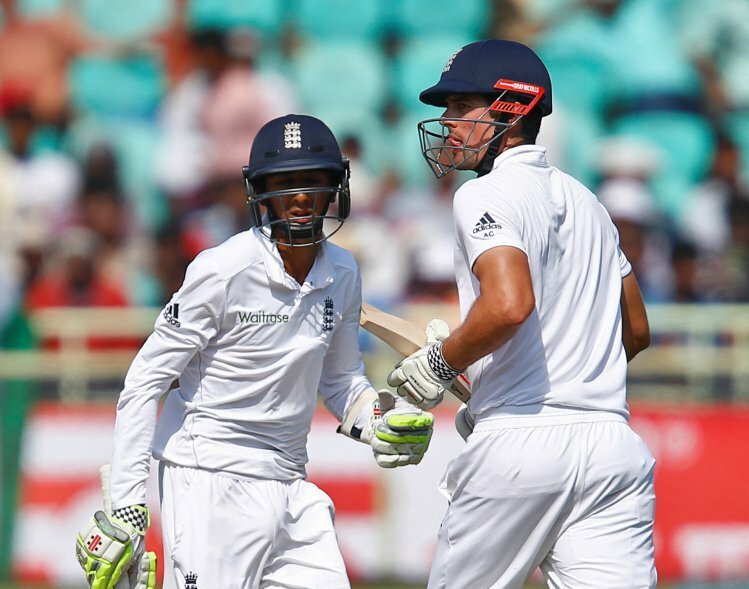 Kannaur Lokesh Rahul was out to Stuart Broad without scoring and Vijay Murali after brief fluency was out for 20. Then came the 226 partnership between Cheteshwar Pujara and Virat Kohli – both scoring centuries. Pujara has now completed 3000 test runs in 67 innings – opener Murali Vijay too completed 3000 in 75 innings. Pujara joined Sachin Tendulkar and Rahul Dravid as the fifth-fastest Indian to reach this mark. Among India batsmen, Virender Sehwag is the fastest to reach this mark - he took only 55 innings. When Alastair Cook saw the coin go against him first thing, and following some none-too-subtle hints from Kohli regarding the surface he desired in the lead-up, it felt ominous. 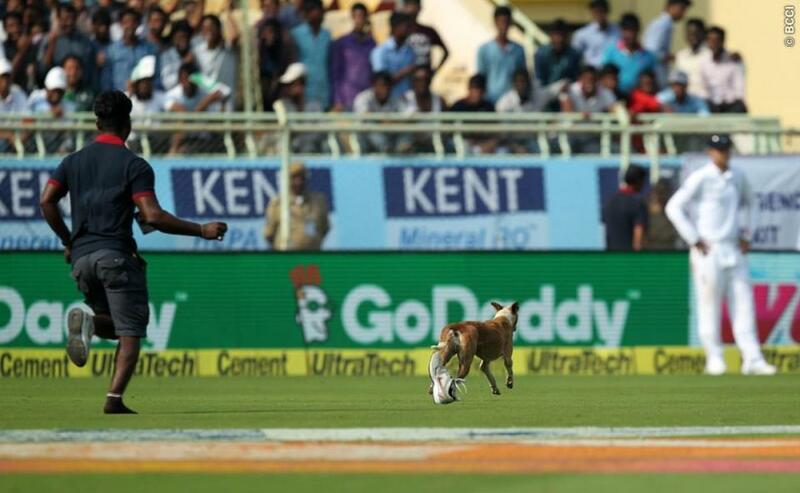 India racked up imposing first day scores for fun at home and thus the biggest surprise, bar the early removal of both openers, came when a stray dog twice invaded proceedings and relieved itself at deep point. By dodging the chasing, shoe-throwing groundstaff and forcing the umpires to call an early tea, the mongrel booked its place in Wisden’s index of unusual occurrences. It also left Kohli and Cheteshwar Pujara both in the 90s at the interval, having dominated from the moment they came together five overs into the morning session. Neither were affected, with Pujara’s century coming first after the resumption – a heaved six off Adil Rashid over midwicket made it 10 in Test cricket for the in-form No3 – before Kohli, playing his 50th Test match, slotted James Anderson for a couple through the dog’s recently marked territory to bring up the 14th of his career. With Ashwin batting the way he has been, a score of 450+ would definitely give India good comfort in the 2nd test.